Contributing to form a more critical generation. This is the mission of Edições SM, a Spanish publishing company that will have its third anniversary in Brazil in March. With a 108-book catalogue, SM basically targets younger readers. The company publishes books approaching contemporary issues, such as child slave labor, and children victimized by conflicts. "We do not spare our readers. We want to offer them the same things they see in the news," says Dolores Prades, manager for Literature and Informative Material at SM. "We want to show the world to youths and children." One collection along these lines is "De Olho Aberto" (Eyes Open), comprised of four titles. One of them is "Les tagueurs de Jabalya" (The graffiti artists of Jabalya), by Israeli author Ouzi Dekel. Based on the author’s life, the story tells the routine of an Israeli soldier in a Palestinian refugee camp. Part of his job consists of accompanying the daily life of a group of graffiti artists who paint words of resistance on the camp’s walls. The experience shows how important it is to respect different cultures. In the end, there is a short annex containing historical and cultural information about Palestine. The idea is for the books in the collection to be studied in classrooms. The same collection features a book about children who live amidst the Colombian guerrilla war, and another one about girls who get sold in Asia. The fourth title in the collection, "Crianças Operárias" (Working Children), discusses child labor in many different countries. But the publishing company is not all thorny issues. The Cantos do Mundo (Corners of the World) series features stories of little known peoples, as in the book "Sosu’s Call", about a boy who lives in a village in Ghana (Africa), and is among the company’s most sold books, or "Tales of a Lost Kingdom" about an ancient Kingdom in Pakistan. With the book "ABC of the Arab World", written by Paulo Daniel Farah and launched last June, SM inaugurated a new collection whose objective is precisely to introduce readers to a new culture. Next will be "ABC of the Jewish World". "Starting out with the Arab world was very special. We Brazilians have a lot of Arab characteristics, albeit unknowingly. And it is important for the younger readers to realize that the Arab universe extends beyond the conflicts seen on TV," claims Dolores. There is no shortage of books on different cultures, habits and experiences. One such book is "Red Land, Yellow River", by Ange Zhang, a Chinese who lived the Cultural Revolution, a movement launched in 1966 by Mao Zedong, aimed at fighting the emergence of more affluent social classes. Zhang was a teenager when he lived through one of the bloodiest periods in the history of China. The book was illustrated by the author himself. According to Dolores, the idea is to have youths read a book like Zhang’s and then seek more information on the subject. "We want to show them that the world extends beyond the borders of their native country. In fact, that the world extends beyond their front doors and the shopping center," she says. The publishing company’s most popular collection, though, is the Barco a Vapor (Steamboat) literature collection. A tradition in Spain, the collection exists in all countries in which SM is present. 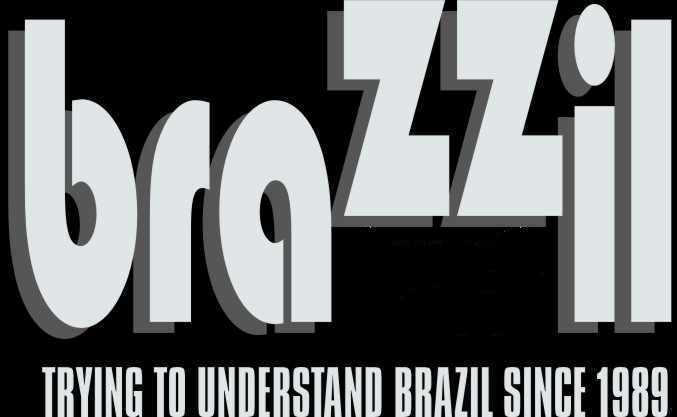 It includes 47 titles in Brazil. According to Dolores Prades, the collection introduces big names in worldwide youth literature to young readers in Brazil. At the same time, it makes room for Brazilian writers. "We have tried to achieve a balance, at least half the authors in Barco a Vapor are Brazilians," she claims. All genres are explored in the collection: police, romance, adventure, comic, realistic etc. This miscellany includes a wide range of books. The authors are from all over, including the Arab world. "Granny Sara’s Gift," for instance, was written by Palestinian Ghazi Abdel-Qadir, who currently lives in Germany. The story, though, takes place in Lebanon. The narrator is Liana, a girl who lives in Beirut, dreaming about the country air in a village near the capital of Lebanon, where her grandmother Sara lives. The girl is from a Catholic family. In the village, though, half the citizens are Muslims. As she tells the story of her grandmother Sara, she describes how the two religions live together in harmony – and complement each other – in the small village. To promote literary culture, Edições SM grants the Barco a Vapor award, which offers prizes in cash and provides space for new Brazilian writers. Dolores claims that SM is different because it belongs to a foundation (Fundação Santa Maria, from Spain), hence its concern with forming citizen readers. "Making books here is about more than just the market. It is a cultural enterprise. Here, we feel obliged to show the big contradictions in the world to the youth and the children," she explains. "But we are not an exotic publishing company. We just want to make access to these issues available."